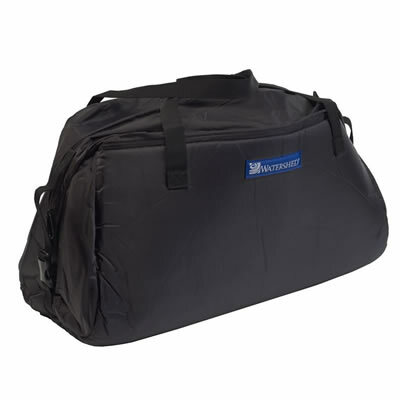 Watershed duffel liners are constructed from a 200 denier nylon exterior and velcro receivable fleece interior surrounding 1/2″ closed-cell foam. They offer a tight fit inside the bags for which they are offered. Yukon liners now have a zippered top, buckles on each end for compression, longer handles, and velcro-receivable inner walls. This is a great accessory to add to your current line up of Watershed products.